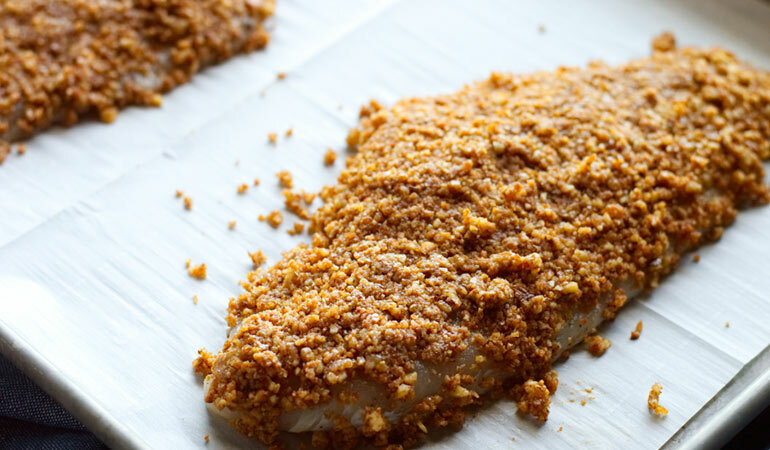 Pecan-crusted catfish is a quick and easy, low carb and keto friendly weeknight meal – this recipe can be on the table in less than 30 minutes! Fresh catfish fillets are coated with buttery pecans, seasoned with a blend of savory spices, and baked to perfection. The pecan crust keeps the catfish juicy while adding amazing flavor and texture to the dish. Preheat oven to 375 degrees. 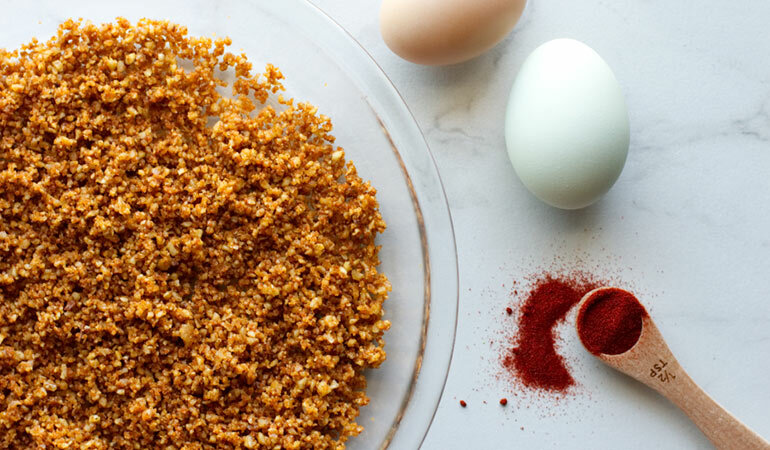 In a food processor, combine pecans, garlic, 1 teaspoon of salt, ½ teaspoon of pepper, paprika, Worcestershire, celery salt and cayenne pepper, if using. Pulse until the pecans are finely chopped. Place the pecan mixture into a shallow dish or pie plate and set aside. Place the beaten eggs in a separate shallow dish or pie plate; set aside. Pat the catfish fillets dry with paper towels and season lightly with salt and pepper on both sides. One at a time, gently dip the catfish fillets into the egg, coating them on both sides and into the pecan coating. You want to make sure the top of the fillet is coated well with the pecan coating. The bottom of the fillet does not have to be coated completely. Press the pecan coating onto the fish as needed and transfer onto a baking sheet lined with parchment. Repeat for all the fillets. If you have any pecan coating left over, press it onto the tops of the fillets, filling in any spots you may have missed. Bake the coated catfish fillets at 375 degrees for 15-20 minutes or until cooked through. The cooking time will vary depending on the thickness and size of your fillets. 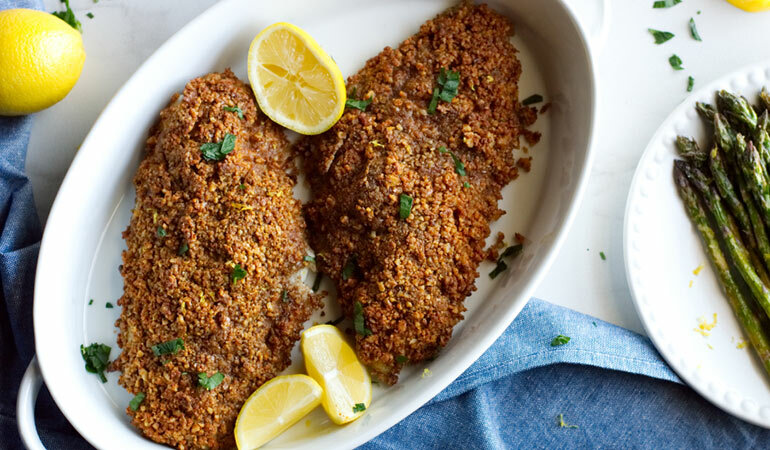 Serve pecan-crusted catfish fillets warm with a drizzle of melted butter and a squeeze of lemon.